This December we have been highlighting the many wonderful conservation initiatives that tourism lodges in Zimbabwe support and you as a client directly contribute to. Conservation is critical to ensuring Zimbabwe’s natural resources persist for generations to come. While Zimbabwe is a highly educated country, training opportunities are needed for Zimbabweans to learn new skills that aid in conservation and help better the lives of all. Many of the lodges in Zimbabwe are linked to community or conservation organisations and offer support to these organisations that are invaluable. There are too many privately funded organisations to name them all so we will just concentrate on a few of the main players who we support. A foundation committed to sustainable development, through creating opportunities that empower rural communities located in vulnerable wildlife areas in Zimbabwe, Botswana and Zambia. They work to create these opportunities through education, community empowerment and conservation. The Matusadona Lion Project has been provided with a based and logistical support at Changa Safari Camp since its onset. Changa is proud to support this conservation initiative and encourage participation with its guests to learn first hand from the Matusadona Lion Project team about conservation in Zimbabwe. The Victoria Falls Anti-Poaching Unit works to achieve conservation, wildlife protection and anti-poaching around Victoria Falls and the Zambezi National Park. Our strategy is to develop lodges on the edges of parks or peripheral areas. The reason for this is twofold; firstly our footprint has less impact on the park, and secondly, our development is in conjunction with local communities, rather than central government. The Trust is dedicated to protecting the area’s Indigenous fauna and flora, with local communities and stakeholders. Projects include but are not limited to, rehabilitation of injured/orphaned wildlife, anti-poaching and wildlife veterinary assistance, community-based projects and a conservation education program. This Trust is an independent entity supporting a variety of wildlife management, research and education projects. The projects deal with the needs of existing wildlife populations, seek solutions to save endangered species and provide training for local communities. A portion of each guest’s fare is allocated to the Trust. The ‘Green Season‘ as it is known is a fantastic time to visit Zimbabwe or Botswana. Our rains happen in the summer months from November through to April. 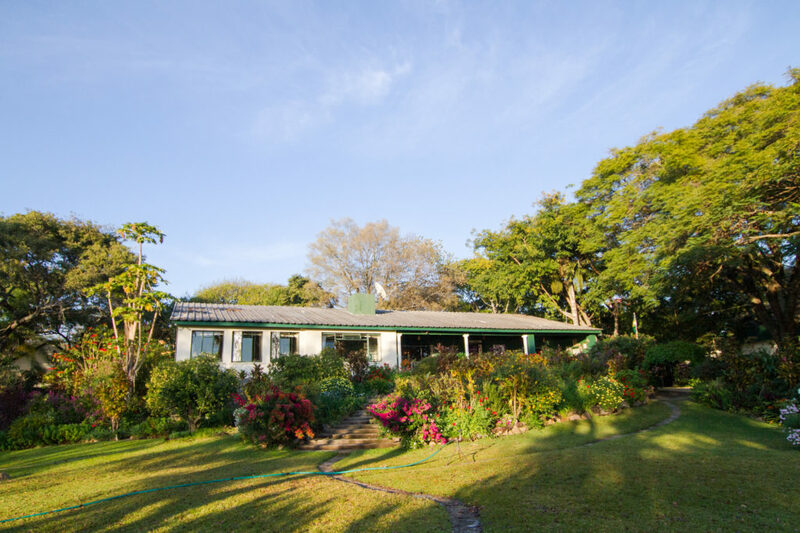 During the green season, most lodges offer lower prices, you will have few other travellers around and spectacular lush scenery filled with migratory birds and baby animals. You get to experience a private Africa at an affordable price as lodges drop their rates. Showers are usually short and happen in the late afternoon and evenings although occasionally we get a few rainy days the weather is still mild and warm. Expect long warm days and dramatically shifting light patterns as clouds build up, dissipate and give way to clear and dust-free skies. We also highly recommend a green season safari for seasoned African travellers as it will give them a new experience of the continent. Hwange National Park with few tourists around you’ll have the pick of the best guides and good access to the incredible game on the Ngamo Plains. There are 400 bird species in Hwange during the green season so it’s heaven for birders! Victoria Falls are in their heaviest flow during the period February to May with a peak in April. The spray from the falls typically rises to a height of over 500 metres and is visible from huge distances. Prepare to be awed and to get very, very wet! Nxai Pan also offers spectacular game viewing as migrating animals are arriving. Huge herds of zebras and wildebeest are congregating into the open areas. In the Okavango Delta, game viewing becomes more rewarding as the floodwaters withdraw leaving more areas open for the game. This is the ideal time to experience a water and wildlife combination. Botswana and Zimbabwe are two heavyweights of the safari world both packing a punch in their attractions. The two countries are easily combined due to their proximity to one another and doing so has many benefits. Stretch your or your clients budget as lodges in Zimbabwe are generally less expensive! See varied habitats and therefore a variety of animal and bird species. Variety is the spice of life and this will keep your safari interesting. Varied activities- Botswana is known for game drives and mokoro rides in the Delta, Zimbabwe for its great bush walks especially in Mana Pools and Hwange. Zimbabwe boasts the mighty Victoria Falls known locally as “the Smoke that Thunders”, the dry habitat of Hwange National Park with its abundant elephant and predator numbers and the stunning Zambezi Valley with high game numbers and the spectacular backdrop of the escarpment. Main Destinations: Mana Pools, Hwange National Park, Matobo National Park, Victoria Falls and Lake Kariba. 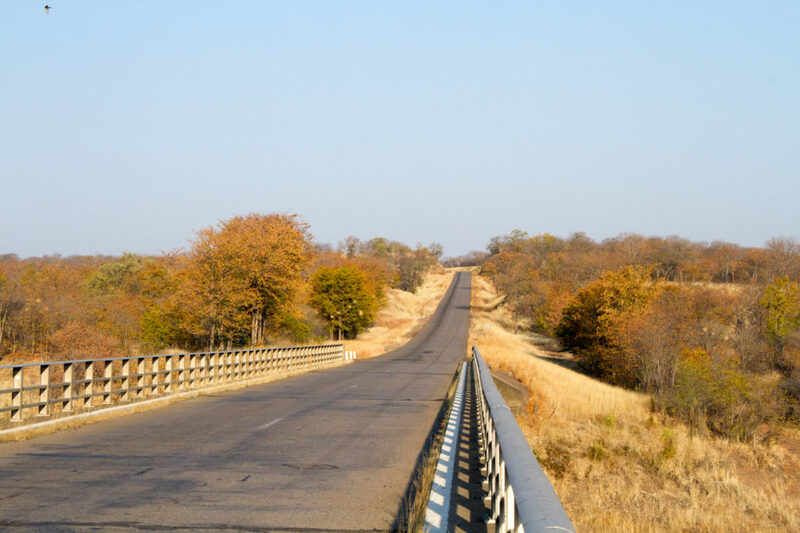 Terrain: Zimbabwe is classic dry savannah – think flat plains and golden grass. Mana Pools and Victoria Falls lie on the Zambezi River resulting in thick woodlands. Botswana doesn’t hold back either with the waterways of the Okavango Delta drawing wildlife in high numbers, the harsh beauty of the Kalahari or the Makgadikgadi and the easily accessible and elephant-rich Chobe National Park. Main Destinations: Central Kalahari Game Reserve, Nxai Pan National Park, Okavango Delta and Chobe National Park. Terrain: mostly semi-desert, but also home to the world’s largest inland delta the Okavango Delta a watery wilderness best explored by boat and vehicle, savannah area around the Chobe River. This month we put the spotlight on two of Zimbabwe’s finest National Parks, each beautiful and unique. Hwange National Park is Zimbabwe’s largest game park. Its sheer size means that its scenery, vegetation and game vary hugely. The park is known for its large population of elephant and is very accessible. 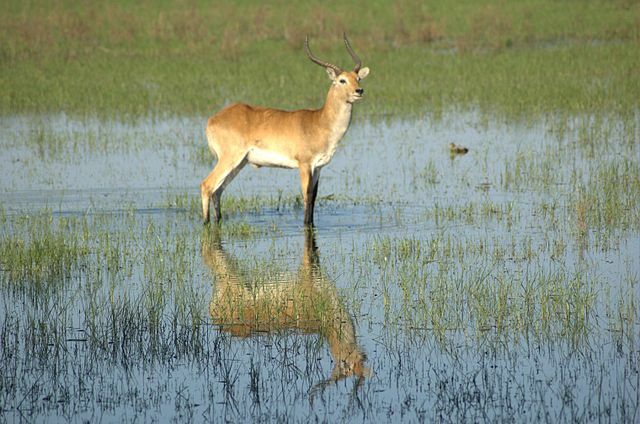 The highest numbers of animals are spotted in the dry season (August to October) when the wildlife congregates around the shrunken water holes. Mana Pools National Park lies at the heart of the Zambezi Valley, where the Zambezi River meanders to the Mozambique border. 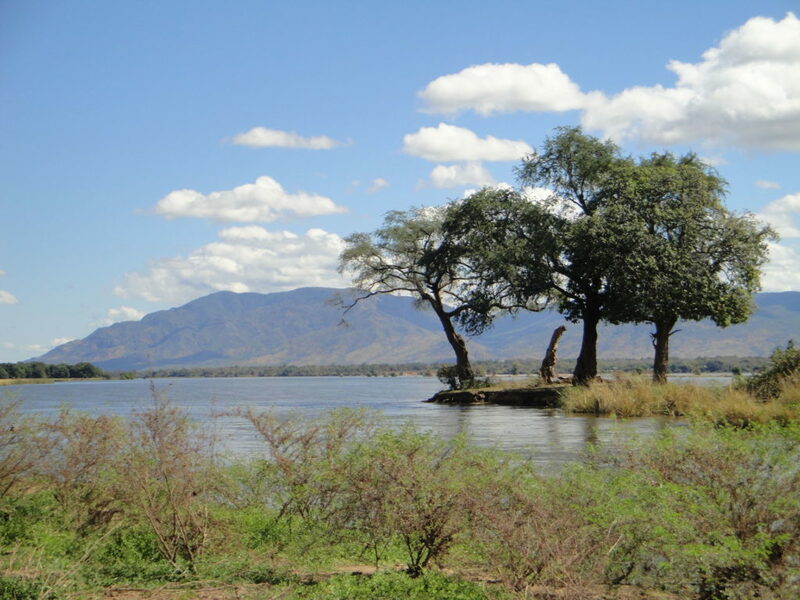 It is a remote, beautiful place with spectacular views of the broad river, floodplains, riverine woodland and the mountains of the Rift Valley escarpment. It is closed from January to March each year due to the rains. Home to one of the world’s largest elephant population. Located about an hour drive from Victoria Falls- easily accessed. Hwange is not only Zimbabwe’s largest national park at 14,651-square kilometres and one of the 10 largest parks in Africa. Known for hides alongside waterholes that allow you to view the many animals coming to drink. Hwange is considered to be the most mammal diverse park in Africa with over 108 species. This is because it is the transition zone between the Kalahari and Mopane Woodland of Zimbabwe. Known for its large grassed pans where animals congregate. Located in the extreme north of Zimbabwe. Hard to access or closed in the rainy season. 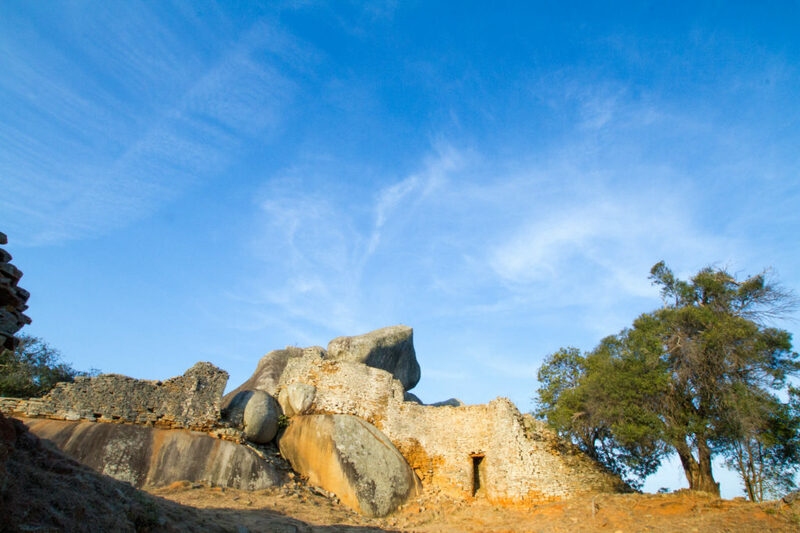 Covers an area of 2196 square kilometres extending from the Zambezi River in the north to the escarpment in the south. Water-based activities such as fishing, boating and canoeing are available. Scenic with the escarpment of the Zambian side as the backdrop. From the landscape and photographic backdrop perspective, Mana Pools definitely has an edge. Both Parks have a number of exciting new lodges, contact us to get the best rates and our full trip report on each of these. Robins Camp a former National Parks Lodge has been refurbished and is under new management as a private lodge. Verneys Camp is a private concession area in a typically un-used part of Hwange National Park in Zimbabwe. Chikwenya- the newest in Wilderness Safaris Camps situated on the eastern boundary of Mana Pools National Park. Nyamatusi is the latest camp in the African Bush Camps Collection. An African Safari offers an exciting and active holiday with twice daily game viewing activities the normal routine and early starts a ‘must do’ in order to maximise your chances of seeing predators. Wonderful as this is it can also be tiring and for some, a safari is best combined with some downtime to process all that you have seen and to truly return home to busy lives rested. Bodies of water always seem to relax whether it is the sea or the Zambezi. In Zimbabwe, the massive man-made lake- Kariba offers game viewing in a relaxed fashion from the sun deck of a luxurious houseboat or game lodge. While away the long warm days fishing, swimming in a pool or simply reading a book while the call of an African Fish-eagle or a hippo gently echoes across the lake. In Zambezi National Park lodges along the river are similarly restorative with many offering plunge pools or decks overlooking the Zambezi, fishing, canoeing and gentle game drives available. If time allows go further afield and enjoy the turquoise waters of the Indian Ocean in Mozambique or Zanzibar. Flights easily connect Zimbabwe with Zanzibar from Harare or go via Johannesburg to reach Mozambique. Both destinations offer soft white sand, palm trees and warm waters full of tropical fish. If vibrant city life interests you more then snorkelling then Cape Town is a perfect choice- the water certainly isn’t warm but the people are! One of the world’s best destinations for ‘foodies’ the city offers a plethora of restaurants, markets, exhibits, museums and shopping surrounded by beautiful mountains and Winelands. The trick here is to choose wisely as there is so much on offer. Ask us where you should go dependant on the time of year, your family dynamics, preferences and budget and we can ensure you will enjoy your time pre or post safari with accommodation and activities that will make your holiday a memorable one for years to come. Bring the little ones along on an adventure the whole family can enjoy. Our family safaris feature child-friendly lodges often with family rooms or adjoining rooms that keep your child’s safety and comfort in mind. Many have fantastic ‘kids programs’ to keep them entertained, child-friendly meals and guides who are engaging. 1. The most important decision you’ll make is your choice of camp! Finding the right balance between adventurousness, comfort and security is critical to having a safe and happy trip. We highly recommend you go to a Lodge which has a family programme. Footsteps Camp, Duba Plains, Selinda Camp, Lagoon Camp, Mashatu Main Camp and Meno a Kwena are standouts. 2. Book a private vehicle. This will allow you greater flexibility than on a shared vehicle meaning you can opt for shorter drives or more frequent stops. Flexibility is key when you have little children. 3. Plan ‘down time’ eg – some days without activities. No matter the irresistible call of the wild, sometimes your kids just need to sleep and play. Stay somewhere with a pool- this will be invaluable in entertaining them on long hot days. Also, remember you can also spot just as much from camp as from a vehicle. 4. Keep kids entertained by bringing a camera and/or binoculars for your children to use on game drives and an animal checklist to tick off what they have seen. We also highly recommend colouring books and a few old-fashioned board games for the time in camp. Going on a safari with kids is a life-changing experience. The landscape is an enormous outdoor classroom – and safari guides will be some of the most inspiring teachers your children ever have. Why country combos are key to a great safari! There are many advantages to combining multiple Southern African countries on your trip. The key is to personalise your trip with combinations that to meet all of your interests for the best experience. We have vast amounts of experience in how to combine areas- from making the journey an integral part of your holiday with experiences such as rail travel to how charter planes inter-country. South Africa offers some easily accessible and therefore cheaper safari options such as Kruger National Park allowing you to maximise your budget while still seeing highlights such as Victoria Falls in Zimbabwe where a range of options to suit all budgets are also available. The obvious reason is to combine multiple experiences such as game viewing in the Okavango Delta with wine tasting in South Africa’s cape or hot air ballooning over vast plains in Zambia’s South Luangwa with a beach break in Mozambique. we can personalise your itinerary to suit your interests such as visiting championship golf courses. By visiting varied geographical areas you combine habitats which effectively means you can view a wider range of species than would otherwise be possible from desert-adapted animals such as Oryx to sea life, or rare birds such as the shoebill. Imagine seeing a zebra migration before swimming with dolphins! 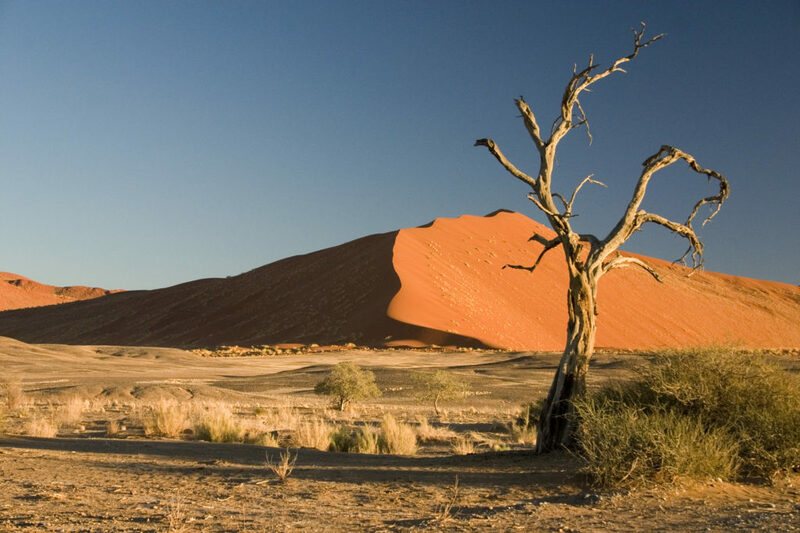 Here’s an overview of the highlights of the main destinations in Southern Africa. – Best for: active safaris (walking, canoeing, and boating), great guides, high adventure, ancient stone ruins, good value and the best views of Victoria Falls. – Best for low tourist numbers, boat/mokoro/canoe activities, upscale luxury. – Best for variety with beaches, mountains, culture and cities, wine areas, and safari areas, budget options available. – Best for intimate safari camps with rustic charm, good guiding, low tourist numbers so an exclusive experience, Victoria Falls. – Best for dramatic scenery, spectacular sand dunes, remote wilderness and desert-adapted animals. – Best for beaches, delicious food and scuba diving. – Best for great wildlife viewing in iconic destinations such as Serengeti and the Ngorongoro Crater, Mount Kilimanjaro, great beaches and culture in Zanzibar. 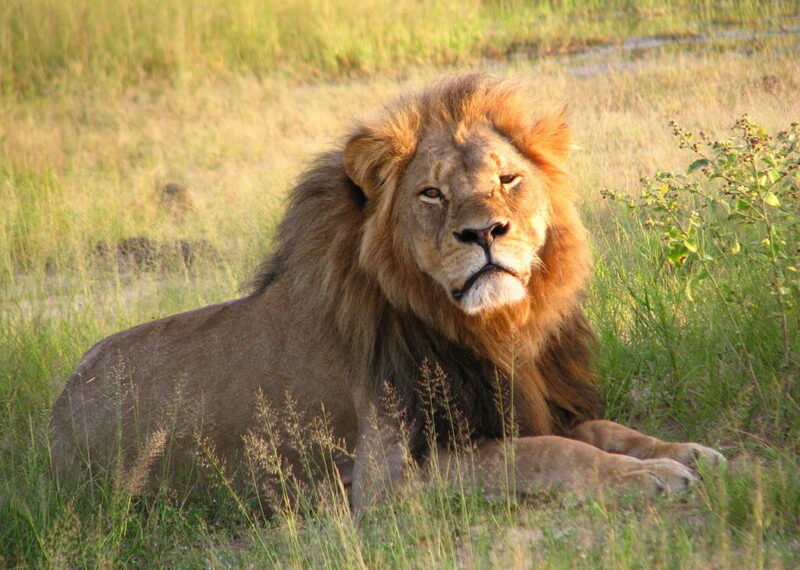 – Best for the Masai Mara for big cat viewing the great migration. – Best for gorilla trekking, chimpanzee treks and diverse scenery. – Best for wonderful gorilla trekking, tragic but necessary look at history at the genocide museum. A step back in time to another era is Norma Jeane’s lakeside resort with its beautiful gardens and genteel feel. The rooms and central area have a colonial feel and look. There are 8 catered hotel rooms, 4 self-catering lodges and 9 communal rooms with shared facilities. The gardens surrounding the lodge are lush and peaceful with incredible views overlooking Lake Mutirikwi. Trekking & Walking Safaris offer something different for the discerning traveller. The original safari in Africa walking offers the chance to meet animals on their terms and must be done with an experienced guide who will both respect the animals and bring a great awareness of the natural world to you, the guests. Walking safaris can either be based out of a mobile safari camp or from a fixed lodge. The fixed lodge experience allows luxury for those that need it and the mobile safari camps generally offer more adventure for those that are there for the rustic experience. Walking safaris give you the chance to be in closer contact with the land and to learn more about it- there is no better connection, as you leave the comfort of a lodge or safari vehicle your senses awaken, you pay attention to the minutiae and you are literally grounded. I find they offer the rare chance to feel completely ‘in the moment’ and that in today’s hectic world it is this that is worth more than any other aspect. Of course a walking or hiking trip also offers the opportunity to stay active whilst on your holiday. Safaris are notorious for their gourmet delights with twice daily teas and sundowner snacks the norm and many find that they miss their daily movement after a week of daily game drives. Whether you do a full walking safari or visit a camp that offers walking amongst other activities it can be a pleasant change and a great advantage for the health conscious. From specialist walking guides who conduct multiday walks between camps to walking ‘light’ with camps that offer walking as an optional activity, there is a plethora on offer. Although we couldn’t possibly cover all of it we can showcase some highlights. Zimbabwe is known as a walking destination, mainly because of the high standard of the guides there but Botswana is slowly beginning to offer more walking experiences. EASTERN HIGHLANDS TREKKING- The Eastern Highlands is a region of rugged mountains and scenic beauty. This natural holiday destination offers peace of mind and in a quiet peaceful environment with excellent walking and hiking trails. 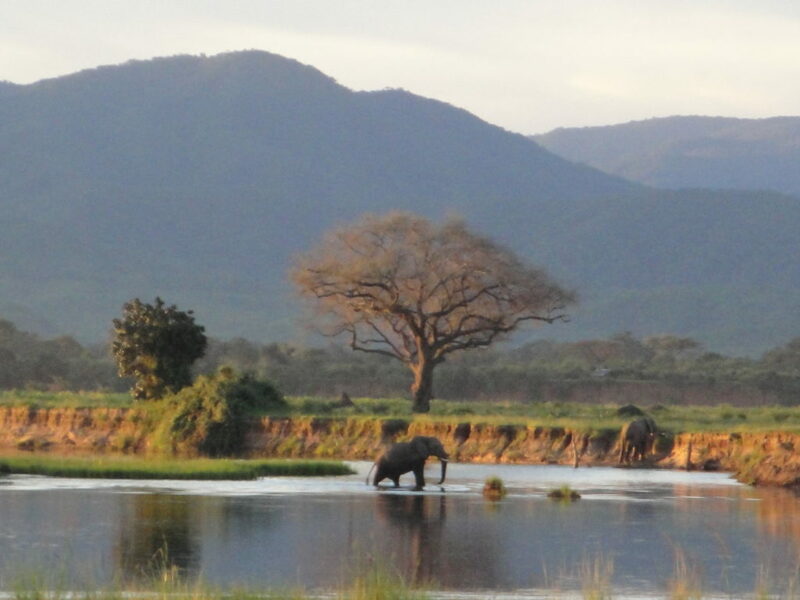 MANA POOLS WALKING- Remote and beautiful, Mana Pools is famous for its walking safaris. The area’s sparse undergrowth and canopy of large trees allow for good visibility coupled with incredible beauty. HWANGE WALKING- Known as ‘Zimbabwe’s Kruger’, the visitor is likely to be rewarded with comparable wildlife viewing opportunities and far less human presence. OKAVANGO DELTA- Exploring this water wilderness on foot is exhilarating, walking safaris in the delta often also utilise some form of watercraft such as a dugout canoe given the nature of the terrain. BENSON SIYAWAREVA- A fully licensed guide in both countries, Siyawareva has run some of the region’s most significant camps (Little Makololo in Hwange, Savuti in Botswana), in addition to helming his own guiding operation for ten years. He reads the bush brilliantly and is thus an expert tracker. LEON VARLEY- Leon Varley has been leading walking safaris in Zimbabwe’s finest National Parks since the early 1980s and is one of Zimbabwe’s most experienced guides. His experienced Ndebele trackers and support team have been with him almost as long. STRETCH FERRIERA- Stretch has nearly 30 years’ experience in the area and over this time, has gained a wealth of knowledge of the bush and its residents in particular in Mana Pools. DAVID FOOT- David has worked in the Kafue and Luangwa in Zambia, the Matusadona and Mana Pools in Zimbabwe the Nyika National Park in Malawi. He is now based in Botswana. With 32 years of experience under his belt, and his passion for the wilderness, its wildlife and birdlife he will bring the bush alive. For authentic, uncrowded wild Africa there is nowhere better than Botswana or Zimbabwe. Boasting incredible large reserves and massive wildlife populations. However, there is a misconception that Zimbabwe and Botswana are unaffordable destinations. Many travellers opt instead for the busyness of Kruger or the Masai Mara. The main myth is that only luxury or high-end options are available however this is completely untrue. Particularly in the past few years many excellent mid-range and even budget options have come to life and today no matter what your budget or preference is we can build a safari or holiday in Zimbabwe or Botswana. Accommodation ranges from safari camps, safari lodges, camping safaris, hotels, bed & breakfasts, houseboats to even self-drive and self-catering facilities. We have decades of experience of living, working and travelling in Botswana and Zimbabwe. Travel at the right time of year can greatly maximise your budget. June to September is the peak season and thus more expensive. Instead, check out the ‘shoulder season’ (typically April/May and October/November) or even the green season (January to March). Camps can slash their rates by up to 40% and if you choose your location carefully, the game viewing is still incredible. Personalised, first-hand knowledge is key to making sure that you are matched with the correct product for your price range and expectations. Using a local operator such as Zimbabwe Holidays helps ensure you get the right fit. We are familiar with products of all budgets and which offer the best experience and can access the best available rates 🙂 We also are always travelling and trying these ourselves. Nothing beats first-hand experience. Try deals at new camps. Many new camps have a reduced rate introductory offer while they are not as well known. This is where local knowledge comes in handy! Get in touch for great deals and please be sure to let us know your budget and expectations when enquiring- there are so many great options and we want to make sure that we connect you to the correct one for you!